Gus Nacleiro, Ronald Cherfils, Gino Carbone, Enrique Quiroga, Richard Carlson, Dave Movatt, Delarno Barret, Alvaro Sandoval, Devon Brown, Carlos Muriel and Kids. 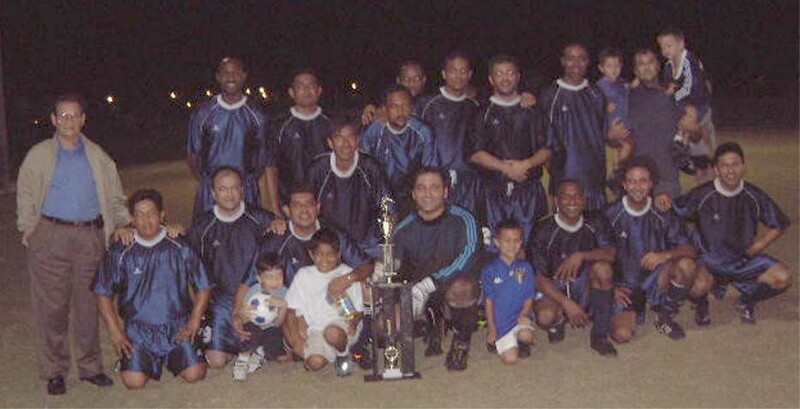 Front Row L-R:Wilson Hernandez, Jaime Muriel, Yanko Ramirez and kids, Douglas Almeida, Evor Badwah, Jose Rodriguez, Tito Plua. Congratulations to our league champion Strikers !! !